Last year I did some research on images of the pygmies, in history and today. I will write more about it in the future. 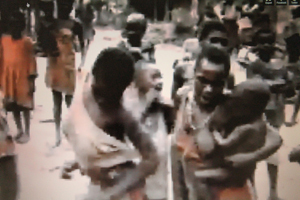 I found that, on the internet, what is most found are movies of groups op pygmies dancing around on a village square. I copied a dailymotion dance in stop-motion animation, with figures torn from economic newspaper articles. 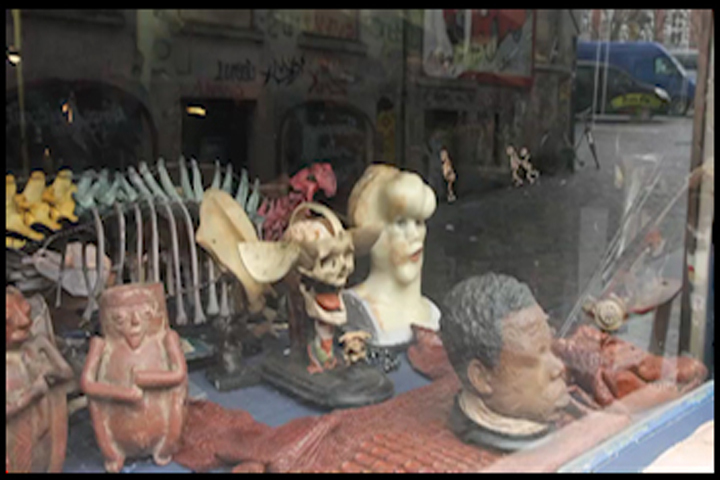 I am making a montage from these with photos I took in Brussels. It will be about 5 minutes and I present it at Nadine, Rue du Berger 30, Ixelles, on thursday 23 june 18:00. Here’s already a still image. Other movies presented that night will be ‘L’aventure ambiguë’ by Bernard Mulliez (21′) and recordings of the collaboration between Brussels based choreographer Ula Sickle and performers Jolie and Dinozord, both from Kinshasa. You are welcome to join us there, I hope we will have lively discussions!